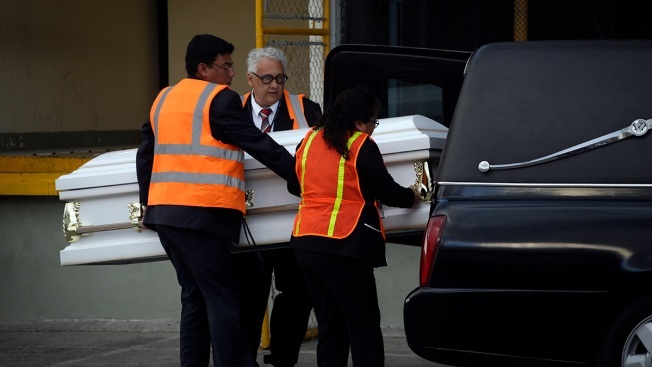 Mortuary employees carry the body of Jakelin Caal Maquin after her remains were repatriated to Guatemala, at La Aurora International Airport in Guatemala City, Sunday, Dec. 23, 2018. Caal Maquin, 7, died in a Texas hospital two days after being taken into custody by U.S. Border Patrol agents in a remote stretch of New Mexico desert. A 7-year-old girl from Guatemala died of a bacterial infection while detained by the U.S. Border Patrol, according to an autopsy released Friday, in a case that drew worldwide attention to the plight of migrant families at the southern U.S. border. Jakelin Caal Maquin died Dec. 8, just over a day after she was apprehended by Border Patrol agents with her father after entering the U.S. illegally. Jakelin was one of two children to die in Border Patrol custody in December, raising questions about the agency's ability to care for families. The report from the medical examiner in El Paso, Texas, says traces of streptococcus bacteria were found in Jakelin's lungs, adrenal gland, liver, and spleen. The autopsy says she faced a "rapidly progressive infection" that led to sepsis and the failure of multiple organs. South of San Diego, builders have started construction on eight prototypes of the US-Mexico border wall promised by President Donald Trump, and area officials are preparing for possible crowds of protesters. "It's a death that could have been preventable," said Dr. Colleen Kraft, a past president of the American Academy of Pediatrics who spoke to The Associated Press after reviewing the report. Kraft said the type of infection Jakelin had would have likely caused initial symptoms that a medical professional would have caught, like an elevated heartbeat, respiratory rate, or problems with blood circulation. 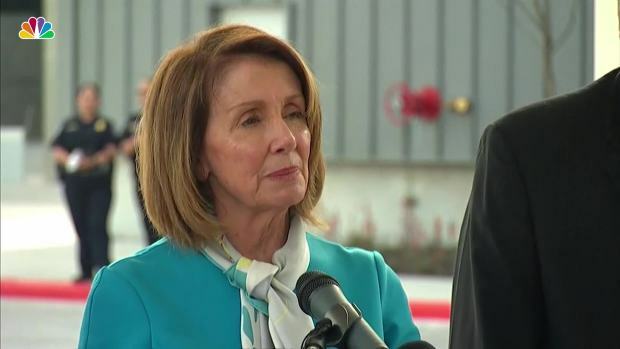 "She should have been taken to the hospital right away," Kraft said, adding that "you had somebody who didn't know to look for those subtle signs that her little system was shutting down." Dr. Matthew Gartland, a pediatrician and member of the advocacy group Physicians for Human Rights, said that while it was difficult to determine whether more rapid treatment would have saved Jakelin's life, "what we can say is immigrant children should receive timely care, including emergency care, by pediatricians." Jakelin was not hospitalized until 12 hours after she and her father were apprehended, according to U.S. Customs and Border Protection. CBP said Jakelin and her her father, Nery Gilberto Caal Cuz, were in a group of 163 migrants who were apprehended at about 9:15 p.m. Dec. 6 in a remote part of New Mexico. The father signed an English-language form stating Jakelin was in good health, CBP said, but it remains unclear whether he understood what the form said. Jakelin and her father boarded a bus at about 4:30 a.m. Dec. 7 from the Antelope Wells port of entry for the Lordsburg station. According to a CBP statement, Jakelin's father reported just before the bus left at 5 a.m. that she was vomiting. She was flown to a hospital in El Paso, where she died the next day . 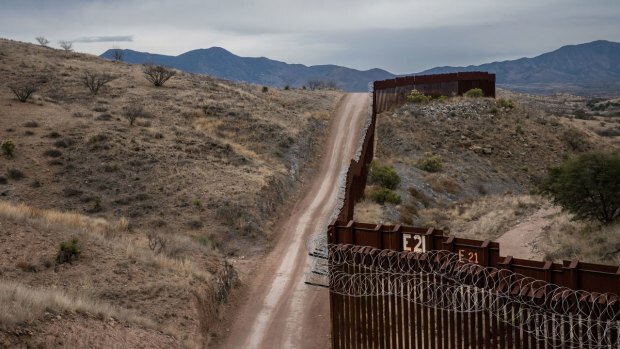 CBP says large groups of migrants are increasingly heading to remote areas of the border such as rural New Mexico, where it has very limited facilities or staff to apprehend and care for them. The agency expanded medical screenings for all children after the death of a second child, Felipe Gomez Alonzo. The Border Patrol said this week that it would release families immediately instead of referring them to processing, a step the agency said was necessary to relieve overcrowding in its facilities. CBP declined Friday to comment on the autopsy report. Commissioner Kevin McAleenan previously said in a statement that the agents who were involved "are deeply affected and empathize with the father over the loss of his daughter." "We cannot stress enough the dangers posed by traveling long distances, in crowded transportation, or in the natural elements through remote desert areas without food, water and other supplies," McAleenan said. Advocates have criticized CBP for its treatment of migrant families and for portraying their growing numbers as a crisis. They have long warned that immigration facilities are ill-suited to detain families. After Jakelin's death, the U.N. special rapporteur on the human rights of migrants urged the U.S. not to detain migrants and called for "a thorough investigation" of her death. Kraft, the former head of the American Academy of Pediatrics, said she had spoken with McAleenan since the two child deaths and said the agency had made progress in making sure sick children are quickly taken to a hospital. Tekandi Paniagua, the Guatemalan consul based in Del Rio, Texas, said his office had spoken to Nery Caal on Friday and that he would "continue providing the necessary accompaniment and support to the Caal family."